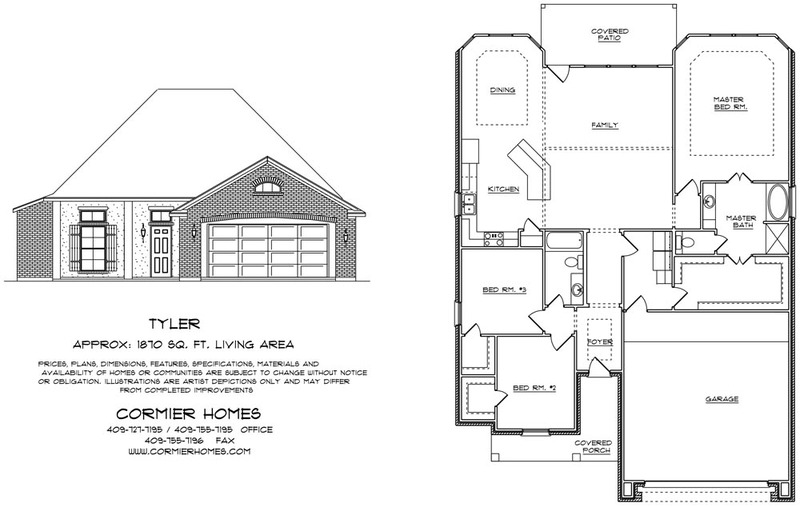 All 1870 square feet of the Tyler plan have fully maximized, to give you the feeling of a much larger home. The utility room immediately off the garage has a mud room area to provide the perfect spot for coats, backpacks, and shoes, but can also be modified to provide access to the master closet from the laundry room. 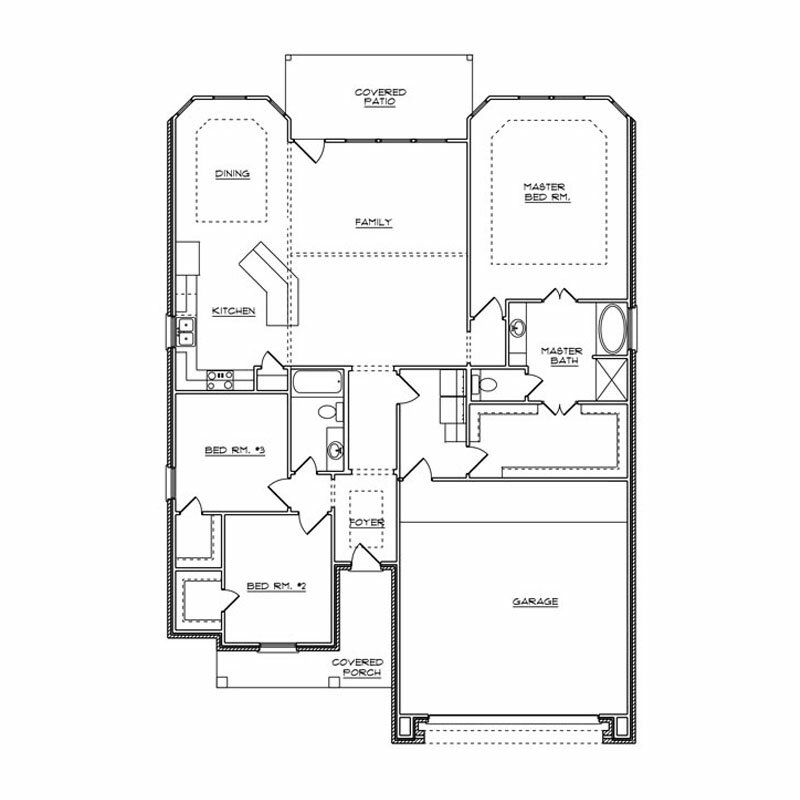 The open concept plan of the home provides ample entertainment space, and the parties can easily flow from the tiled family room to the covered back patio. 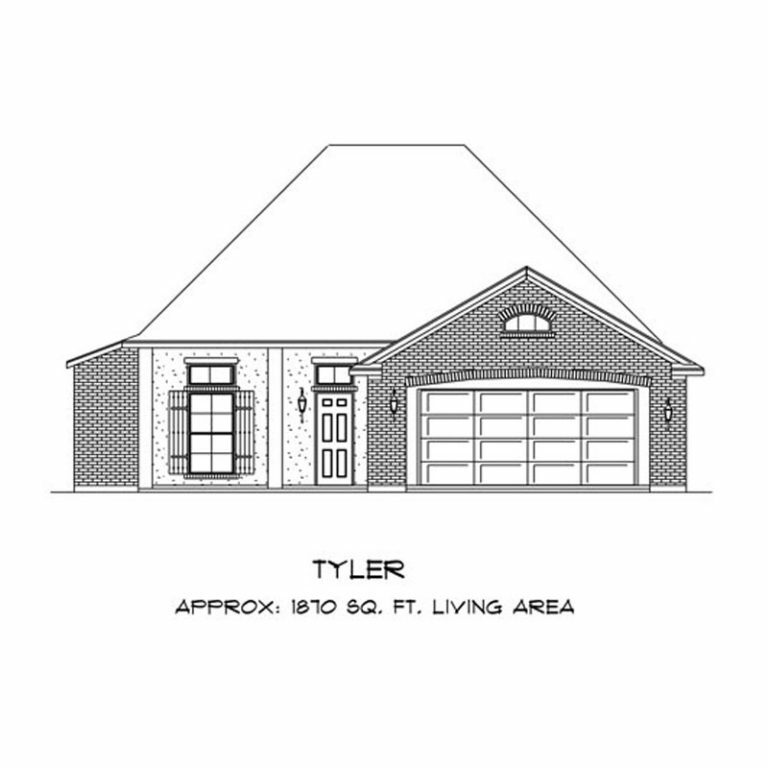 The vaulted ceiling in the family room can be showcased with a cedar beam, and the cased opening to the kitchen/dining area would be a great trimmed in brick.